I am happy to share with you now a message channeled from the Councils of Light which was channeled during peak Equinox energies, and which you can listen to to tune into spiritual energy now. Balance is the theme of this energetic update, and you are supported now in realigning with your authentic path and self. During the amplified and emotional energies around you now, remember to go with the flow, respond with love, and stay true to who you authentically are! The Council of Light connects powerful wave of light and unconditional love is being broadcast to assist you in a more full alignment with your Highest Potential. Tune Into Spiritual Energy with the Council of Light. Simply click the link below to listen or right click to save to your computer. Ctrl click mac or press and hold on phone/ tablet. Or keep scrolling down as this channeled message with the Council of Light has now been transcribed for you below. Greetings, indeed, we are here. We are the council of light, the ascended masters for your world who have lived before you, yes, and who await you now, as you continue your journey of raising your vibration, opening your heart to love, and in reuniting with your highest possible purpose for this life. You planned this life carefully, precisely and closely with the many guides, beings of light and angels that join you now. In this now moment, we are indeed broadcasting a wave of love, of light, of hope. By simply opening your heart, quieting your mind, and tuning in, you can allow this energy to pour into your being, to return you to a state of vibrant well-being and radiance, indeed, your natural state of being. All that is separate from this vibrant wellbeing and authentic truth is coming up now for review and release. The challenges you are experiencing now are deliberate, are divine. And each of the things, personal to you, that are happening now are happening so you may rise above them and redefine your belief systems, your ideas and ideals about your world. The shadow side of you and the challenges in your life, are not to be shunned or feared or even ignored. But when these experiences come up, know that they do so now for you to refocus, for you to determine how you choose to show up, how you choose to respond to even the most terrible, frightening, stressful or challenging personal situations in your life. When you remember that you are a divine being, that you are spirit and you are light, and when you connect with this in the heat of battle, the challenging situation or frightening moment, you reclaim your power from these things that have gone wrong in the past. You reclaim your power from these things tied to past experiences or past beliefs, which are, even without your being aware of it, limiting you from your true power. By simply responding with light and love in the present moment, by blessing the challenge, you open yourself to receive its greatest blessing. And from this, you are able to give thanks and draw to you more and more of what is divinely meant to be on your path, what is your true yearning as a soul and as a spiritual being. And we, on this day of great opening and great connection, are so pleased to be with you, to remind you that where we are in the ascended realms is not so much different from where you are in the physical. And now, as you continue to move forward in your life, remember that there is, indeed, a bridge of light created from your open heart to the unconditional love of the higher realms. Walk along this bridge and choose to love yourself, to take the appropriate actions so that you feel good about what you are contributing and how you are living. It is true that you are the only one who can create fulfillment in your life. We are here to assist you in this, but it is ultimately your commitment, your choice, and your continuing to return to the vibration of love in the most tumultuous times that really allow you to rise, to expand and to open, and to integrate your full light, the light of your higher self, a divine and ascended being. 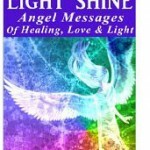 Connect with this to create radical, positive changes in your life, in your world. Beloved, anything you can desire—vibrant health, massive abundance, outrageous happiness—they are granted. Align your vibration through presence and action with that which you desire to create. Stay focused, recommit yourself and open to more and more light, choosing love when all others would choose fear. This is your task. And as you accept it and continue to move along this path of love, you will ascend to your full potential and you will, in this lifetime, see the dawn of day on earth moving away from the turbulence and into grounded love and light. You are so supported in this and, again, reminded to quiet your mind. Open your heart, tune in to your feelings and your senses, and allow yourself to be the divine, angelic, light-filled, powerful being, here to create positive change on earth. You are, and we honor your divinity. You are so loved and assisted. Remember to refocus upon what you want. Believe that it is possible and move forward now in balance, taking good care of yourself and thinking, believing and moving towards your true desires of your heart, of your soul. We are the council of light. You are cleansed, lifted and so loved. How mistakes in my past destroy my future. I just want to work.